The slip rings have a widespread application in the home and manufacturing unit. The users know the value of the metal ring. Yet, some do not have a clear idea about the right manufacturer and type of model to opt for. The customers need to know the different parameters of the RF slip ring to ensure that they receive the best result. They should understand the requirements for their equipment. It will save them from spending money on a fraudulent product. The most suitable slip ring will fit in the existing space of the machine. It will lead to performing the machine in better condition. 1)Basic requirement: The user should need to understand themselves about the requirement of their machines. The space limitation, type of slip ring, design and internal structure of the slip ring. 2)Working condition: Before purchasing the product, the consumer should know that each category of slip ring works in a different weather. So, they should buy the particular slip ring that will work according to their existing environment. 3)Composition of the slip ring: The performance of the slip ring also depends on the type of material used for the product. Besides this, the electrical machines can function only when it has all the mandatory components. 4)Certified manufacturer: The customers should buy the product from a licensed and genuine slip ring manufacturer. Whenever buyers purchase a slip ring for the first time, they face a common problem i.e. lack of knowledge about the correct slip ring to be used. They must know the special features of the products before buying it in order to avoid any compatibility issues. 1.Sophisticated product: A sophisticated and developed slip ring will install easily in any limited space. Thus, the buyer should check out for such type of product. 2.Easy installation: Rotary slip ring is easy to install and reflect a negative effect on the machine. The customer must understand the procedure of installation. 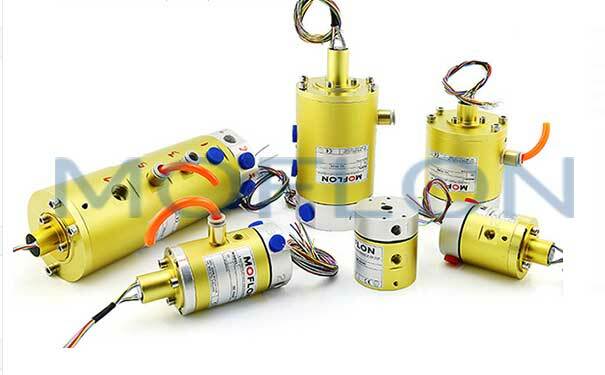 3.Required components: The new buyer should inspect the packet of the slip ring during the purchase to see whether it has all the required compositions. They need to check that it should be a conductive slip ring, it supports multi-channel, consists of the compulsory conduits, it can draw high current and speed and can work in every temperature and weather. Children love to ride on the carousel and it's quite a fun, which gives immense pleasure. This ride also needs the slip ring because the carousel revolves round and round. The rotor transfers the current to the stator body. Both the structures revolve in a circular motion for a period of time. The carousel-owner installs the through bore slip ring for smooth operation. It helps to transmit the required signal and power to the rotary structure and from there, it transfers to the stable part. After receiving the current and speed, both the parts circulate and keep functioning without any disruption.